Mormon Wookiee: #103: God Bless Pope Francis. #103: God Bless Pope Francis. Confession: I'm not Catholic (however, the domain for catholicwookiee.com IS still available). And although I'm not Catholic, a couple of weeks ago, I, along with billions of other people around the world, was excited for the announcement of Pope Francis (Jorge Mario Bergoglio) to be named as the first pope in six hundred years to succeed a current living pope, Emeritus-Pope Benedict (Joseph Aloisius Ratzinger). Over the last two weeks, I have grown even more excited as I have studied Pope Francis's life, his beliefs, and the approach he will take to the papacy. Whether paying for his own hotel room, wearing simple robes and a wooden cross after being announced as pope, calling for the church to become a "poor church for the poor", or reminding the rich that they can't take their worldly wealth to the next life ("burial shrouds don't have pockets"), Pope Francis has already demonstrated an example of Christlike humility, despite holding one of the most powerful and influential positions in the world. I also love the symbolism Pope Francis evoked by naming himself after St. Francis of Assisi, one of history's greatest examples of Christian living. One of my favorite quotes was originally said by St. Francis: "Preach the gospel at al times and if necessary, use words". Pope Francis also reminds me of one of my favorite fictional heroes--Bishop Myriel from Victor Hugo's Les Misérables. Of Bishop Myriel, it was said, "There are men who toil at extracting gold; he toiled at the extraction of pity. Universal misery was his mine. The sadness which reigned everywhere was but an excuse for unfailing kindness. Love each other; he declared this to be complete, desired nothing further, and that was the whole of his doctrine." 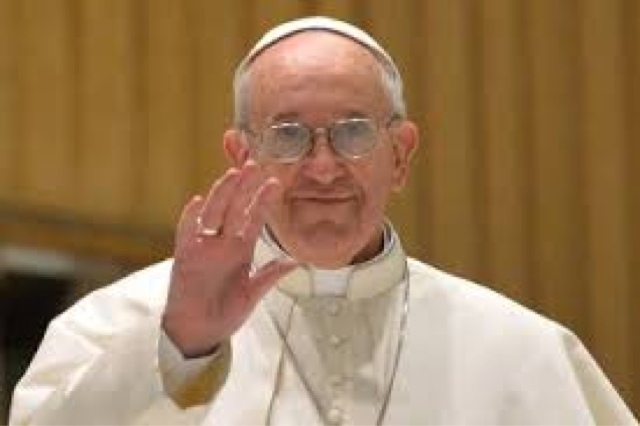 I too pray that all will be well with Pope Francis and that he will be instrumental in bringing many people to Christ. May we all support him in his efforts to "succor the weak, lift up the hands which hang down, and strengthen the feeble knees” (D&C 81:5). God bless Pope Francis! #104: The Garden of Gethsemane. #102: It's Just "See Ya Later". #101: Guest Post: Follow the Promptings.